Since Google recently (at the time of this writing) made their search accessible via HTTPS, I figured I would do a quick howto writeup on making that your default search engine as opposed to the normal unencrypted search. This is a full step by step for what is a pretty simple process. Note that this is being done with Chrome 5.0.375.38 beta on Ubuntu. 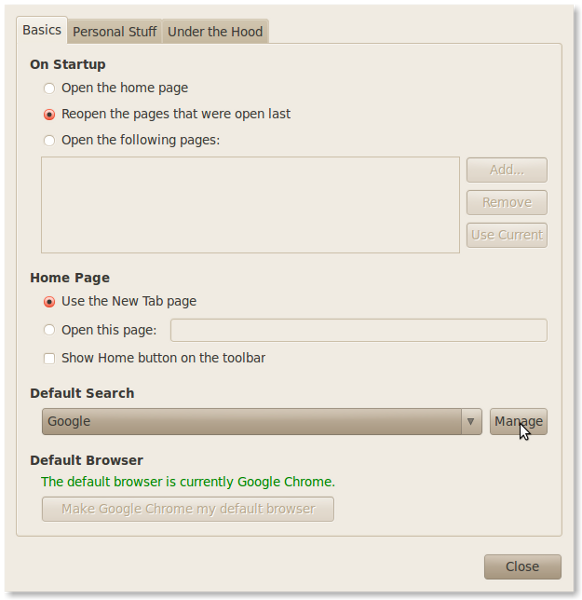 With Chrome open, click on the “wrench” icon in the upper right corner and click on “Options”. 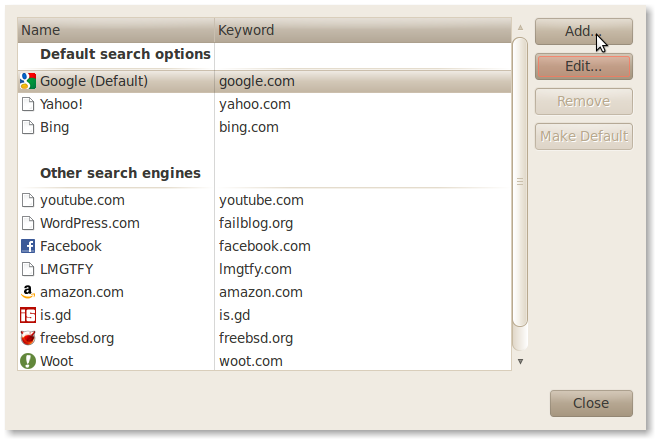 Now that you have the Options open, click on the “Manage” button in the “Default Search” section. Now, we want to get the default google.com search string so that we can copy into our new search engine we are going to add. 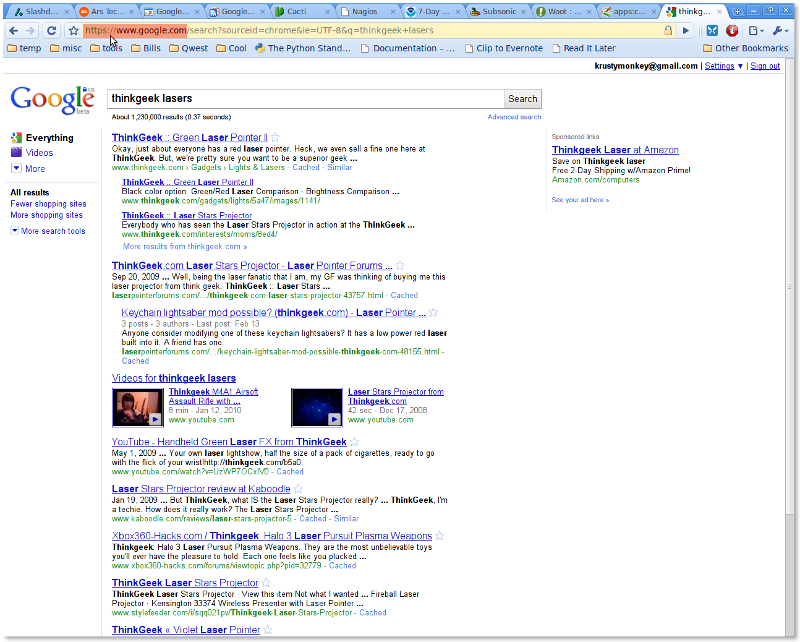 First click on the default google search engine and then click the “Edit” button. That will bring up the settings for the default google search. Click in the text box next to URL and press CTRL-a to select all, then right click and select “Copy” (or CTRL-c). 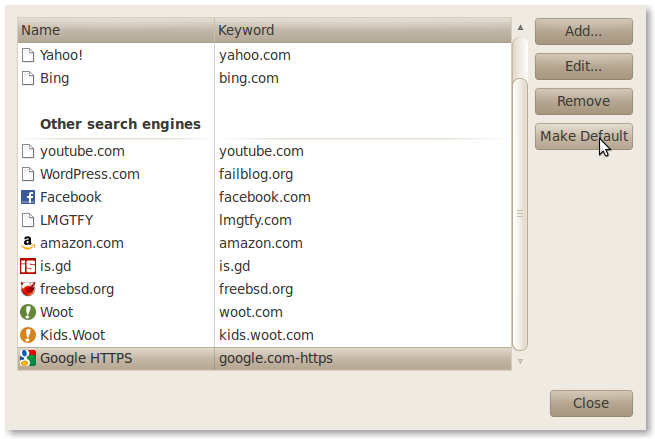 Now, click the “Cancel” button and we should be back to our window with the list of search engines. 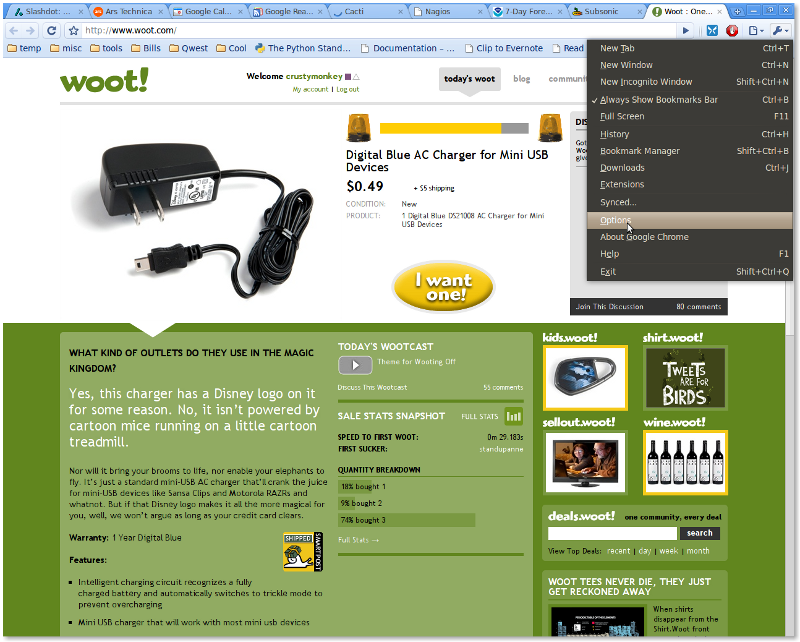 Next we want to click on the “Add” button to add a new search engine. Just click the “Add” button when you are finished and that will take us back to the window with the list of search engines, but now your new “Google HTTPS” search engine will be in the list. Simply click on your new “Google HTTPS”, click on “Make Default” and then click the “Close” button. Google's HTTPS search should now be your default! If you open and new tab and type in a search, you should see that you are now sent to the HTTPS version of google.com for your search results.